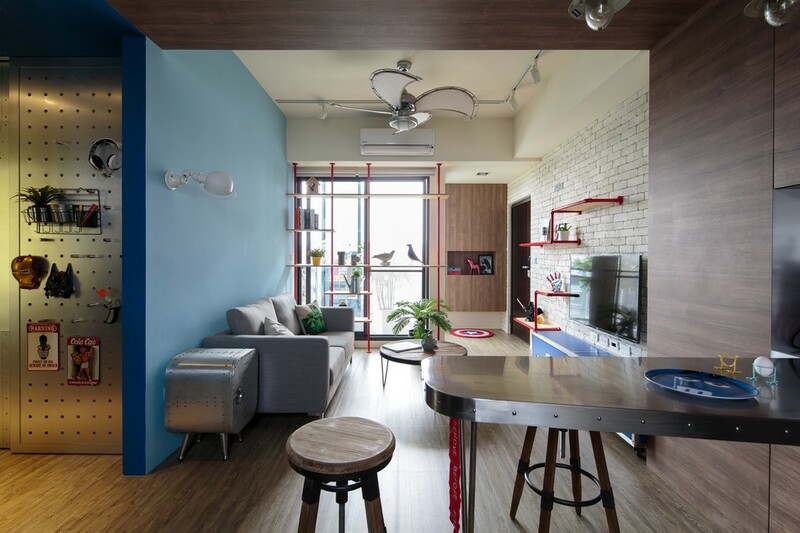 H2o+Co2 Design sent us photos and information about a modern house design they recently completed in Taipei, Taiwan. The owner who works in the fashion industry wanted to have a home with unique and personal features. After discussing these needs, the designers reduced partition walls to a minimum level to break the independent spatial pattern and to make the space layers brighter and more transparent. By combing the living room, study, open kitchen, bar and dining area, a strong dialogue between people and space was created.